There are a couple of events I would like to bring to your attention. First off, on Saturday, April 27, 2013 is the Governance Futures Lab. It’s a two day event being sponsored by The Institute for the Future (Palo Alto, CA). The global event is organized to bring a world-class cohort of critical thinkers together at the IFTF headquarters on April 26th to diagnose our current and future problems in systems of governance. The end product of this work will be the a series of design briefs outlining the problems and parameters for a number of critical issues in government and social policy. On April 27th, these design briefs will be distributed to teams around the world. Teams of designers, creatives, engineers, architects, political scientists, and futurists will be stationed at global nodes in Singapore, Abu Dhabi, New York, Birmingham, San Francisco, and Honolulu. These design team will spend the greater part of April 27th imagineering and creatively problem solving the contents of these design briefs; presenting models, policies, constitutional preambles, info-graphics, and other “artifacts” of the design process. These artifacts and presentations will be shared collectively with all of the Governance Futures Lab participants and will lay the foundation work for a new wave of rethinking governance for our futures. Your participation is welcome. 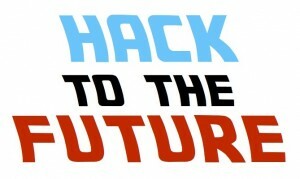 On June 1, 2013 Hawaii is participating in National Day of Civic Hacking by holding its own Hack to the Future. Join the Code for Hawaii Brigade on this day of civic demos, code expo and updates on civic hacks. We will use this day to plan the remainder of 2013 and brainstorm projects to infuse government with community based innovation. Civic engagement is taking hold in our community so let’s focus on what we can accomplish in City and State government over the coming months. National Day of Civic Hacking is an event when citizens from around the country will work together with local, state and federal governments as well as private sector organizations with the common goal of improving their community through technology. It’s a national initiative to promote transparency, participation and collaboration between governments, companies and citizens.